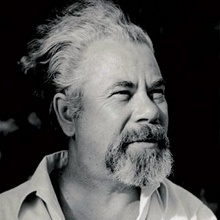 A certain Jew of Sarajevo by the name of Moshe Havijo converted to Islam in Travnik, and through trickery insinuated himself into an order of dervishes and received the name Dervish Ahmed. To the untaught Muslim masses he passed himself off as a miracle-worker, infused with divine inspiration, and the people believed in him. Probably this false Dervish Ahmed made some attack on the Jews, for – as the story says – when the predecessor of Ruždi-pasha arrived in Travnik as the vali (governor) of Bosnia, they warned the pasha of the treacherous ways of this false dervish. The new vali ordered the execution of this aforementioned Moshe Havijo, that is, the false Dervish Ahmed. The Muslims of Travnik felt his death keenly, but dared not reproach the stern command of the vali. 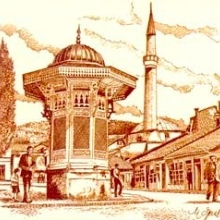 When after two years, in 1820, Mehmed Ruždi-pasha – or, as he was generally called for short, Ruždi-pasha – took the place of this vali, the Muslims of Travnik complained to him that through the guilt of the Jews, and by order of his predecessor, their pious and holy Dervish Ahmed had been executed. To Ruždi-pasha, who himself belonged to this dervish order, this event was welcome for his own wicked designs, and on the pretext of avenging the innocently shed blood of the pious dervish, he demanded 500 sacks of silver coins (groschen) from the Jews of Sarajevo as punishment, thus, so to speak, missing the true culprits, the Jews of Travnik, since their community was poor and small. In order to carry out his intention he set out in person for Sarajevo, cast into fetters and prison the Hahambasha (the religious leader of the Jews) Moshe Danon, and ten of the Jewish leaders, and issued an order that all the prisoners be publicly executed on the executions site if they did not pay him the 500 sacks of coins by the two-day deadline. This amount at the time represented an enormous fortune, unattainable for the Jews of that period. In vain they begged and sought mercy from Ruždi-pasha, offering him 5000 groschen. Ruždi-pasha in no way allowed himself to be softened, and issued a stern command to his executioner that at dawn the next day, on Saturday the 4th of Marheshvan, he was to behead all eleven prisoners. 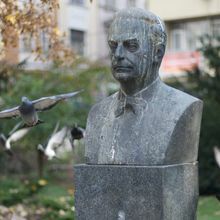 In Sarajevo at this time there lived an upright old man, Rafael Levi, a saraf-basha (money changer), respected and prominent for his righteousness and honesty among his fellow citizens, and especially among the Muslim leaders. Right at the last moment this good old man came upon the happy notion of stirring compassion and seeking help among the Muslim leaders, and, as is described in detail in the story of Zeki-efendi, took pity on the unfortunate captives, and gave the old man their word that at dawn on the next day they would free the jailed unfortunates by force. The next day, Saturday at dawn, around three thousand Muslims – so says the story – surrounded Ruždi-pasha at his palace of Begluk, forced their way in, broke down the prison doors and freed the Jews. The vali Ruždi-pasha barely escaped with his head, fleeing to Travnik. As soon as he arrived, he immediately began plotting how he would punish the rebels. The first thing that he did was to compose a detailed petition to the Sublime Porte, in which he described how the Muslims of Sarajevo, and the rest of the population, had plotted against the Sultan, and he sent it by special courier to the Sublime Porte in Istanbul. In addition he assembled his troops so that at the given hour they would set out to Sarajevo to punish the rebels. The Muslims and Jews of Sarajevo, who were awaiting in trepidation the vengeance of this tyrant, didn’t resign themselves to their fate. The Muslims composed a long and detailed petition with 249 signatures, all from the ranks of the prominent Muslims, in which they recounted the violence and bloodthirstiness of Ruždi-pasha. The story is a chapter from the book Sefardi u Bosni [The Sephardim in Bosnia] by the Sarajevo chief rabbi Moric Levi, later reprinted in Jevresjki glasnik [The Jewish Herald] (1969), a monthly publication of the Jewish community of Sarajevo.